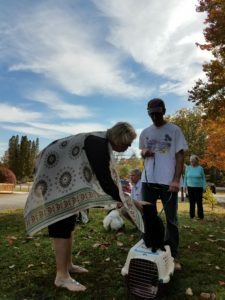 Come join us on Sunday October 7 at 1pm outside on the hill by the cross for a blessing of our furry friends. We will have a brief worship service and some treats will be offered to the animals. If you are unable to transport your pet, please feel free to bring a picture or a drawing of them to be blessed.